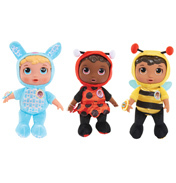 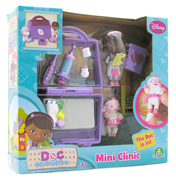 For any little girl who has a vivid imagination and has dreams of becoming a doctor like Dottie McStuffins, take a look at our range of toys and sets based on the hit TV show, Doc McStuffins. 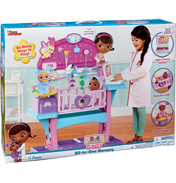 In the show, Doc McStuffins is a 6-year-old girl who wants to become a doctor like her mother and she can heal her broken toys and dolls. 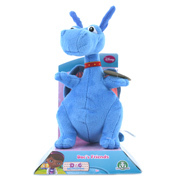 We have a selection of toys and accessories perfect for any fan of the TV show. 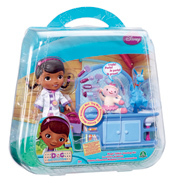 There's everything your daughter needs to become a 'real' doctor just like Doc McStuffins; perhaps she'll enjoy dressing up in her very own lab coat and stethoscope, or singing along to the show's theme tune with Doc and Lambie! 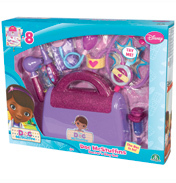 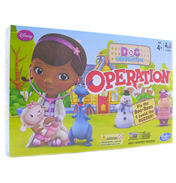 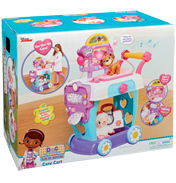 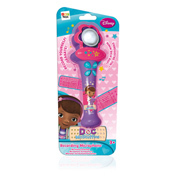 Take a look at our Doc McStuffins Toys & Accessories and bring the magic of the TV show to life.